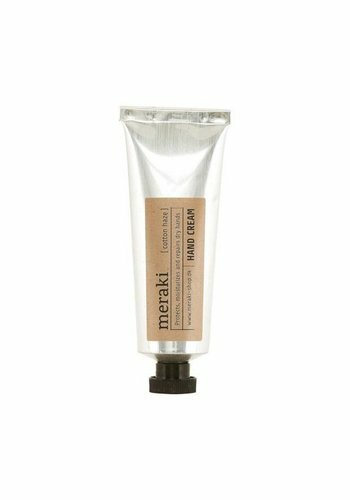 This hand cream protects, hydrates and manages nice hands. Linen Dew perfumes hands with a delicious, fresh scent of woody, smoked hints and fresh mint. Use the cream after washing your hands, and when your hands need a bit of extra care. Take good care of your hands with the nourishing Cotton Haze hand cream. The cream comes with a nice, fresh scent with a hint of citrus fruits and it penetrates the skin without feeling greasy.